The idea that WWI has been a global conflict is commonly accepted by the scholarly community and it constitutes a real leitmotif of the most recent literature on this topic. As a consequence of this development, a number of scholars has started investigating the impact of WWI on Africa, Asia, the Middle East, and even Latin America. Indeed, the Great War, as it is otherwise called, deserves to be remembered not just by the nations of Europe but also by the peoples of the rest of the world whose destinies were shaped by it or because of it. This includes the Middle Eastern countries and a number of German colonies in Africa. Historians have studied the course of the war in these parts and have established how much price was paid and what the enduring legacies were. The effects of the war on the countries of Northeast Africa has not been studied with as much depth. Nevertheless, the available documentation clearly reveals that the First World War indeed had an impact on the history of the region. Historians have demonstrated that this big global event impacted on the economy of Eritrea, a colony of Italy, which had already sent thousands of its men to Libya where they fought a long colonial war that started before the global event but that fed into it. In the like manner, French Somaliland (the latter Djibouti) sent a military force, Le 1er Bataillon de tirailleurs somalis to the Front in France. 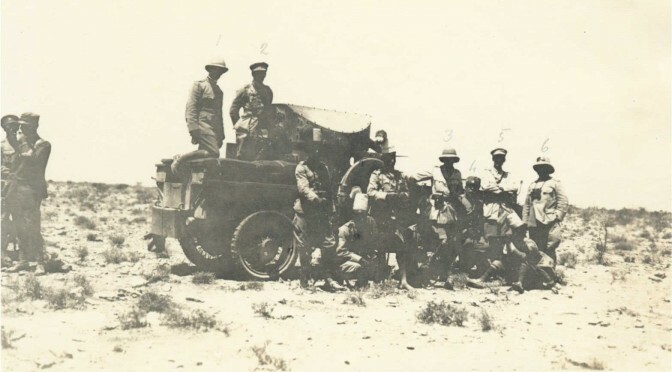 British Somaliland, which had been a scene of a protracted religio-nationalist anticolonial movement long before the outbreak of the war, saw an active Ottoman engagement to get involved during the war. Ethiopia too found herself ensnared in the diplomatic tug-of-war between the two warring sides, which ended up profoundly affecting her political system in 1916. Did the war equally impact on its economy? This remains to be investigated. In Egypt, Sa’d Zaglul and his Wafd party asked to represent Egypt at the Paris Peace Conference. The British refusal led to the revolution of 1919. A few years later, in 1924, the Sudan was engulfed in a similar confrontation. There is therefore a valid reason to hold a conference on the impacts of the First World War on the peoples of Northeast Africa. This conference aims to suggest an analysis of the conflict that focuses on three crucial points. The first one is related to space. It seems to us that the framework of the nation state is too circumscribed and does not allow to capture the complexity of the relations that came into being at local, national and international level. In this regard we find particularly penalising the conventional approach which tends to investigate WWI in Africa and the Middle East as two separate settings. Our choice to focus on a territory which stretches from Libya to Somalia is an attempt to overcome this hiatus. Embracing an area rather than a war theatre allows to connect colonies, states and territories that have maintained substantially different attitudes with regard to the war such as being belligerent, neutral and non-belligerent. The second focus of the conference is related to time and, more precisely, to chronologies. As a result of a long and vibrant debate, it is now taken for granted that military chronologies, are just one – and probably not even the most effective – of the possible periodisations of WWI. For the geographic area taken into account by the conference this issue is even more relevant. In fact, on one side some scholars suggest that the Libyan war of 1911-1912 could be taken as the real beginning for WWI. At the same time other scholars emphasise the fact that some of the consequences of the War stretched over a longer period of time and mention among their examples the Egyptian revolution of 1919 and the subsequent independence of 1922, the nationalist movement in the Sudan in the 20s, the political change in the Hejaz, and the British decision to hand over the Jubaland to Italy in 1924. Though some of these suggestions can be criticised, it remains sure that the transition from peace to war and from war to peace in the region lasted well beyond the conventional framework 1914-1918 and that the ensuing political turmoil that engulfed the region redraw the political map of the area. The third and final focus of the conference is on agency. It is apparent that the history of WWI beyond the European fronts remain mainly confined to the history of European armies in non-European military theatres. Indeed, it is important to shed light on how different local powers negotiated their involvement in the conflict, providing, in this process, ample evidence of their autonomy of judgement and of their independence in taking action. Tensions ignited by WWI interacted with complex pre-existing balance of power, which, in many cases, influenced the positioning and choices of the local actors. For this reason we want to pay a special attention to the agency of African elites and populations involved directly or indirectly in the conflict. « How, because of two wild beasts the world was set alight » is the title of a Tigrinya poem written by Sengal Workeneh and published at this own expenses in Rome in 1915. This poem, completely devoted to the description of the devastating impact of WWI can be considered as one of the first public voices on the conflict coming from the Global South. Sengal work witnesses the existence of a range of local point of view on WWI, which, regardless to their contradictions and differences contribute to a more choral and inclusive representation of the Great War. Writing the history of WW1 from an African perspective remains the main ambition of this conference. The Global approach challenges the traditional center and periphery model. What we would like to suggest in this conference is the adoption of a combination of different scales of analysis: local, national and transnational. The goal of the conference is to bring together experts, academics, early-career historians and doctoral students from different disciplines to share new scholarly work and to enrich the history of WW1 in Africa and the Middle East. Applicants are encouraged to submit original work on the conference themes. To apply, please, send 500 words proposal for 20 minutes papers, inclusive of: paper title, a clear description of sources and methodology that will be used in the paper, and institutional affiliation. To the proposal should also be attached an academic CV. 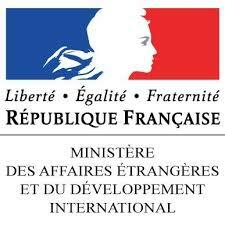 Proposals must be sent to the following address: secretariat.scientifique@cfee.cnrs.fr, no later than January 29 2016. Notification of abstract acceptance will be sent via email to the presenting author by March 4 2016. In that case you will be asked to submit a full paper (maximum 9 000 words including references) no later than July 4 2016. A selection of the papers presented and discussed at the conference will be taken into consideration for publication as an edited volume.